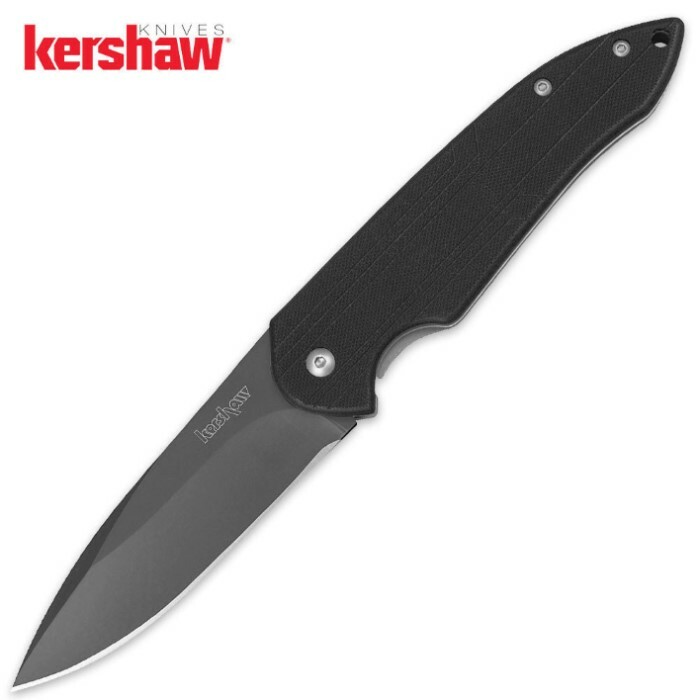 Why else would Kershaw coat a blade in Titanium-carbonitride - because they can. And that's what makes the Kershaw Scamp a man among boys. It's 3 3/8 in. Titanium-carbonitride-coated 8CR13MOV blade gives it the blade retention of a high-carbon blade with the corrosion resistance of titanium. A CNC-machined G-10 handle makes for an easy, durable grip for an all-around dependable knife. 4.625 in. closed.